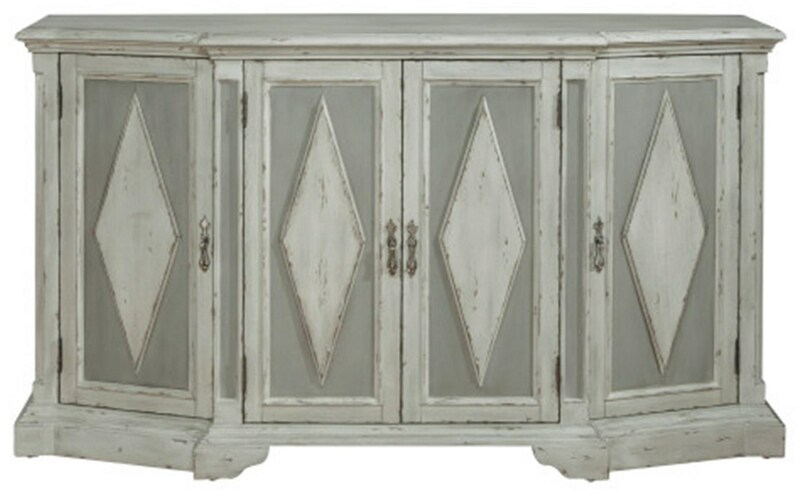 This gorgeous, lightly weathered white and grey diamond-patterned credenza brings charm and personality to your kitchen or dining room while simultaneously satisfying all your storage needs. Behind each door you'll find an adjustable shelf to fit the tallest (or smallest) needs, and behind the center door there is an adjustable wine bottle shelf and stemware rack. 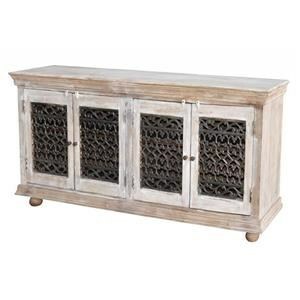 The Accents Grey Diamond Cabinet with Hidden Wine Bottle & Stemware Rack by Pulaski Furniture at Great American Home Store in the Memphis, TN, Southaven, MS area. Product availability may vary. Contact us for the most current availability on this product. 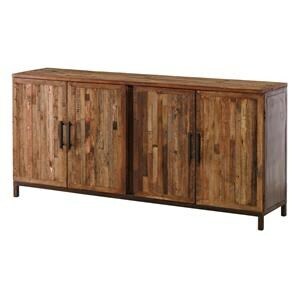 Storage One adjustable wood wine bottle rack/shelf behind center doors. One adjustable wood shelf behind each door. Stemware rack. 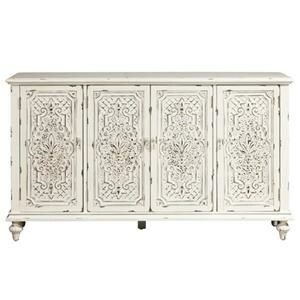 The Accents collection is a great option if you are looking for furniture in the Memphis, TN, Southaven, MS area.